Scheduling is at the center of almost all high school students. 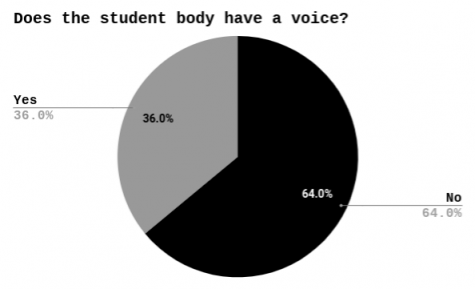 As the deadline of February tenth quickly approaches, all students debate over their decisions. “Should I take another AP class?” or “Maybe I should tone it down a bit?” or “Are you taking small engines too?” are some of the questions that students around you may be asking. As we stress over courses that might very well determine our future majors or careers, many wonder how it actually happens. Here I’ll explain how scheduling works. As we are all aware, our school operates on a block-schedule, which allows us to have eight courses with ninety minute blocks. Consequently, we finish a year’s worth of content in just a semester. Now, this can become a bit of a problem for students who take AP Classes. Since the AP Exams are held in May, the most content-intensive AP classes that BCHS offers cannot be held in the spring semester. For example, AP Biology, AP Chemistry, AP Physics C, AP BC Calculus, and APUSH are never offered second semester, due to the intensity of the courses. If these courses were to be held in the spring semester, teachers would have less time to cover the content, and the students may not have any time for review. Then again, since teachers are busy teaching these classes during the first semester, certain AP courses are only offered second semester, such as AP Environmental Science and AP US Government & Politics. The choices we make determine a lot of things for our teachers too. It determines what blocks they will teach, and sometimes how many blocks they will teach as well. Occasionally, teachers are asked if they are willing to teach an extra block, which helps keep the class sizes regulated. This year Mrs. Sprangers and Mr. Mohammad are doing that. Student demand also determines how many times the same class will be taught in the same year/semester. Furthermore, if many students request to double up in a language, more classes of the same level will have to be offered to meet the requests. ur school does not use a technological algorithm to figure out the master schedule. We attempted to do so a couple of years ago, and it didn’t work out. The reason for that was, the algorithm assigned teachers different classes in the same semester, meaning that some teachers would have to teach three different classes in the same semester. Since each class involves a lengthy amount of preparation, it didn’t make sense to use the algorithm. Therefore, our amazing administrators, make the master schedule by hand. After the student requests are finalized, the teachers in each department gather together and choose the classes they want to teach for the next school year, and then their summer prep schedules are built. For example, in the beginning of the year Mr. Mroz chose to teach World History and Modern Society; Mr. Gryzwa chose to teach AP Environmental Science and Anatomy & Physiology; and Mr. Smith chose to teach AP BC Calculus and Geometry. 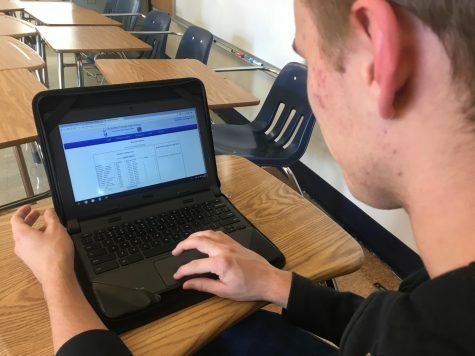 These teachers only have to prepare for two classes the entire year, as compared when the algorithm was used, where they would have had to prepare for six classes. The administrators try to honor all academic requests. However, certain students are given priority, such as a senior that needs the course for graduation versus a student trying to get a non-typical core requirement. For instance, when there is a sophomore/junior wants to take Principles of American Democracy, but a senior needs that graduation requirement, regardless of the random order for student selection, the senior will get the spot. There are some misconceptions that students have regarding alternates, such as putting in alternates will mean that you will get that class instead of class you requested. The reason our administration asks us to put them in is because if your elective course choices that are “extra” beyond the required classes for your grade are filled up, then your alternates are used for making your schedule. All students need to choose alternates because the electives they chose may not fit in their schedule, depending on how the master schedule is formed. However, if a student does not put the alternates in, and such a conflict arises, the student will need to meet with their counselor to address it. Though scheduling is a multi-step process filled with challenges, our administration handles it superbly.